The history of Orin Swift Cellars dates back to 1995 when on a lark, David Swift Phinney took a friend up on an offer and went to Florence, Italy to spend a semester “studying”. During that time, he was introduced to wine, how it was made, and got hooked. A few more years of university led to graduation and eventually a job at Robert Mondavi Winery in 1997 as a temporary harvest worker. 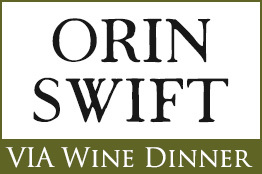 Deciding that if he was going to work this hard, it would eventually have to be for himself, so in 1998 he founded Orin Swift Cellars; Orin is his father’s middle name and Swift is his mother’s maiden name. With two tons of zinfandel and not much else, he spent the next decade making wine for others as well as himself and grew the brand to what it is today. 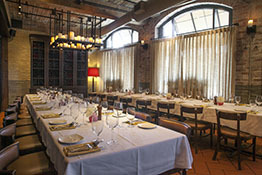 Five-course dinner and wine pairing at 6:30 pm. 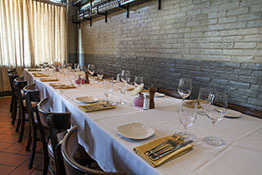 The wine will be paired with food creations from VIA Executive Chef Bill Brule. There are currently 7 seats still available for this event. Should you require to cancel your reservation for a wine dinner, we will credit you toward another wine dinner or provide a Worcester Restaurant Group gift card of equal value. Please provide as much notice as possible (one week’s notice recommended). 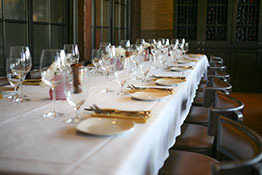 Our wine dinners are limited to 40 seats, and demand is quite high. Thank you very much for your kind understanding and we look forward to serving you soon.